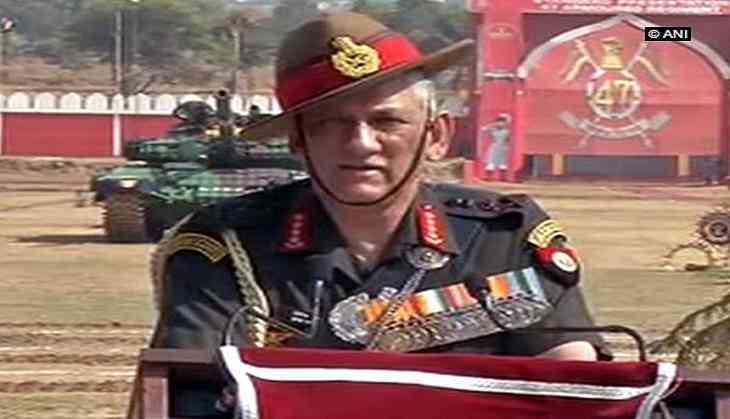 Army Chief General Bipin Rawat on Saturday said, it is time to recommend late Field Marshal Kodandera Madappa Cariappa, who was the first Indian commander-in-chief (C-in-C) of the Indian Army, for Bharat Ratna. "It's time to recommend Field Marshal K M. Cariappa for the Bharat Ratna," asserted General Bipin Rawat, who was here to unveil the statues of Field Marshal K M Cariappa, and Padma Bhushan and Distinguished Service Order (DSO) awardee General Kodendera Subayya Thimayya, at Cauvery College in Karnataka's Kodagu District. "If others can get it (Bharat Ratna), I see no reason why he (Field Marshal KM Cariappa) shouldn't be a deserving personality for the same," he added. Field Marshal Kodandera Madappa Cariappa, Order of the British Empire (OBE), was the first Indian commander-in-chief (C-in-C) of the Indian Army. He led Indian forces on the Western Front during the 1947 Indo-Pakistani War. He is one of the two Indian Army officers to hold the five-star rank of field marshal and was appointed commander-in-chief of the Indian Army in 1949. He died on 15 May 1993, at the age of 94, at the Bangalore Command Hospital where he had been receiving treatment for a few years. Field Marshal K. M. Cariappa is survived by son Air Marshal K C Cariappa, who was a Squadron Leader during the 1965 Indo-Pakistan War. Air Marshal K C Cariappa was shot, while carrying out air attacks during the 1965 war, with Pakistan and was taken prisoner.